First things first... I can’t attempt to make a graphic novel, no matter how short, without understanding what great looks like. Enrolled in the city library to explore its graphic novel selection. DC Comics are very advanced. The drawings are absolutely gorgeous!! 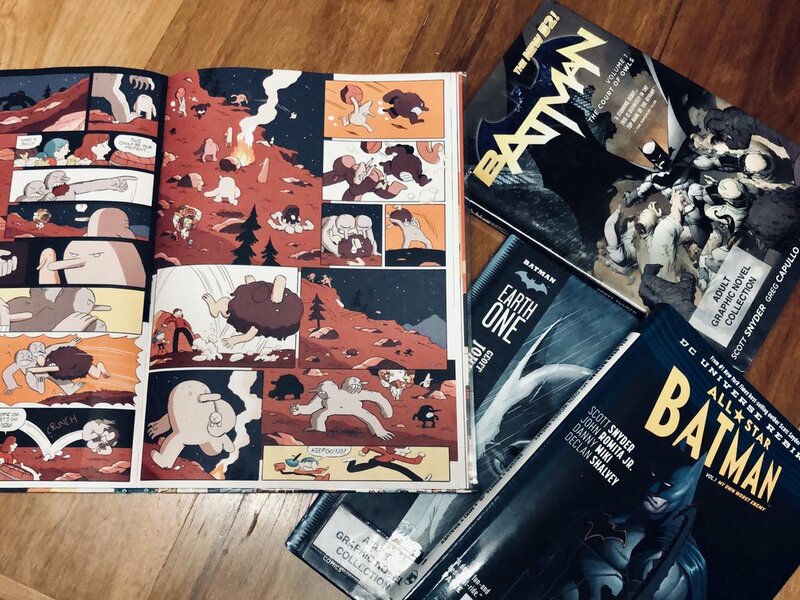 What attracted me most was the storytelling techniques by Scott Snyder. Sometimes, the narrative is driving a tangential point the drawings, while matching the sequence perfectly. These tangential sequences are used to add depth to the story; to reveal something about the world without taking you away from the immediate action. It is very clever! Volume 1 of Batman: The Court of Owls featured a script, a format I can use for my own story! Lastly, I bought a fiction writing course on Audible. I’ll share some insights from it in a future post. One of the interesting things about Procreate is its ability to draw in layers. All artists use techniques like this whether through tracing or letting oil paint dry layer at a time. In mediums like comic books, this is especially true where the storywriting, sketching, inking, colouring and lettering are done by different artists. Sketching is done by the Penciller, who would go through multiple layers of drawings that eventually get traced on with an inking phase to give the final refined, consistent look. With “rapid visualisation”, ideas start off as basic shapes. Through multiple iterations, we can start to increase detail and fidelity. Over many layers, we can drive the character or object towards the feel we want. By the time 2018 ended, I was feeling really tired and demotivated. I spent a lot of my time slaving away at a computer from start to end on most days. I do believe that I achieved a lot during this period. However, this seemed to have come at the expense of personal relationships and just general health and wellbeing. Prior to 2017, I spent my time between my job and my hobby company making iOS apps. 60Hz was the main focus and it gave me an incredible hands on experience at all things product development. I did designs, coding, marketing and customer support. I made YouTubes along side apps, maintained social accounts, read UX books and dealt with B2B relationships. Once the app building stopped, I filled the void by taking on more work hours. This brought me a lot of success in my job. My 5.30AM coding runs for the iOS app transitioned easily to working with my US team mates. While I am happy with 12-14h days of making products, it does take a massive toll on everything else. During the Christmas break, I went in search of a new hobby, something that will disengage me from work and coding while giving me an outlet to be creative. I spent the first part of my break rewatching the Harry Potter movies. They made me want to write a short story of my own. If you got this far in this post, you’d realise that I am not a strong writer; “C” student when it came to English at school. Nevertheless, I started dreaming away about a short story I could bring to life. Around the same time, I was finishing up the “Hilda” series on Netflix. I LOVE HILDA!! The character is so wonderfully free spirited. 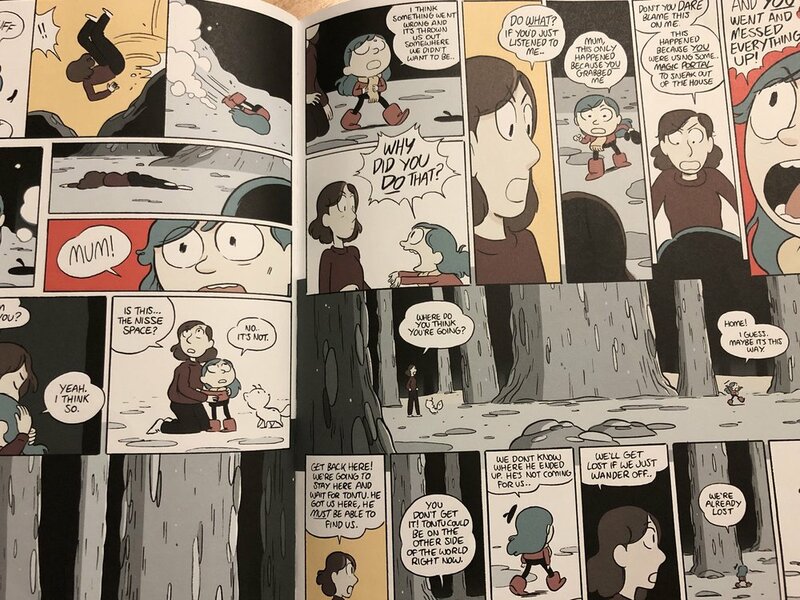 The creativity displayed by Luke Pearson in the graphic novels are just phenomenal — from furball flying creatures, to the witty woodman, to the invisible little elves who are highly bureaucratic — he had managed to create a world worthy of Hilda’s adventures! Reading more about the Hilda graphic novels rekindled my intrest in sketching and drawing. Hey, maybe I’ll draw that short story instead of writing it like a novel! Yep, that is what I’m going to do. I’m going to work on a short graphic novel as my hobby. I know nothing about creating a graphic novel or writing stories so I’m hoping this will be a fun learning experience. I don’t have high expectations or even know if I will be able to stick to it for months and years. I’m still excited to give it a shot. I’ve got my iPad, Procreate app and an Apple Pencil to begin with. That should be enough, right?